At Fusco Law, we work hard to make a positive difference in our client’s lives—especially since the majority reach out to us during a challenging period in their lives. We’re proud of our track record and the representation we provide to our clients. The testimonials below mean a lot to us. While each case is unique and the outcome of any legal matter cannot be predicted or guaranteed, our focus is always on the best welfare of our clients. I wouldn’t have anyone else handle my legal problems but Lewis. He came highly recommended from a friend and now I know why. Very easy to work with, upfront and honest. Needless to say we won the case and I can move on from that chapter of my life. There should be only one choice when it come to legal representation if you live in the jacksonville area and that is Lewis Fusco. I hired him to help negotiate a business transaction. He was very professional and detailed . He went out of his way to ensure evrithing was being done properly and was an all around great advisor . I would definitely hire him again for anything that would require an attorney . Thank you Lewis. Attorney Fusco handled what was a very stressful situation with my son and did so successfully. He represented my son in a very minor incident but he treated us as if we were his most important client. He was very reasonable in his attorney rates as well. I am grateful that we had Lewis Fusco’s advice and expert legal help. Excellent Lawyer! Make you feel like Family! I got pulled over for a DUI — by a member of the DUI Taskforce in Jacksonville, with that said a miserable experience. None the less I immediately sought a Lawyer referred to me by a friend, Lewis Fusco and I am so happy I did! Throughout this whole ordeal, I have not lost my license thanks to his incredible Expertise and Skills with these sorts of cases both DMV cases and the DUI Case! I am happy with my results and considering the DUI Officer that arrested me, and how cases involving this officer typically don’t end well for the defendant I was satisfied with the results in my case! 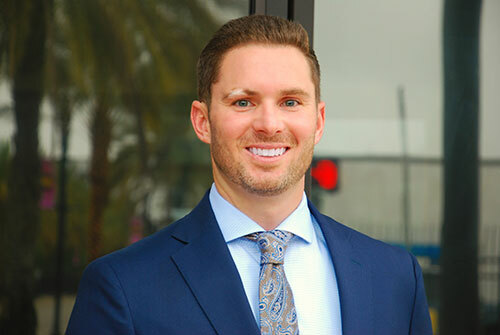 I would recommend Lewis Fusco to anyone in need of an Attorney that cares about his clients and is transparent through every step of the process. There’s no smoke, and mirrors with this attorney and throughout this whole ordeal the best decision I made was selecting him as my lawyer! I’d highly recommend Lewis Fusco if you’re seeking a dedicated, professional and passionate attorney to help win your case. He is immensely knowledgeable, helpful and strategic in his representation. He is truly passionate for his work and puts in a lot of time and effort to exhaust all options with a multi-faceted approach. With Lewis, you can rest assured that you are in good hands. He is backed by a great team, has a strong rapport with key decision makers (judges, prosecutors, state attorneys, arresting officers, etc.) and has an impressive track-record of winning results. He was able to help me get my charge reduced to reckless driving, against improbable odds, and has the experience and drive to help you win, too. Don’t think twice, he’s your guy! Lewis Fusco is a great attorney. He gave me the tools in how I should win my case, on my court date we talk over what we needed an at the end we won the case. Thank you, Lewis for what you have done u have been. I was very stressed out when I first got my DUI. I was panicking, nervous and extremely scared. Lewis calmed me down, and told me everything would be ok. Lewis kept in contact with me, and gave me all my options. He was very straight forward with everything, and informed me that he could beat my case. I had met with other lawyers, but I could tell Lewis was really going to go the extra mile to beat my case. The case has finally been resolved, and it was reduced to a reckless driving withold adjudication (meaning no points!!). I can now start moving forward, and put this whole thing behind me! 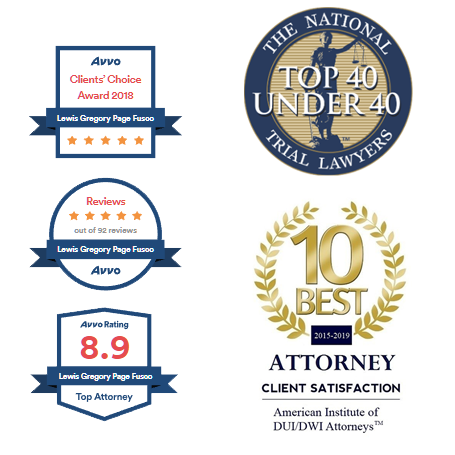 I will be 100% honest, I looked all over avvo and the reviews on many different attorneys when I was in need for legal representation. I questioned, “are they fake?.” That’s why I really want to write in and express my personal situation and extreme support for Lewis Fusco and his services. My situation was one that was posed extreme devastation to my career and my life. I was scared and nervous, and Lewis Fusco, was a straight shooter, aggressive and powerful on handling my case. He handled it 10 times faster and more aggressive then any other lawyer. He didn’t string me along charging an arm and a leg. Lewis cares and is genuine to help. 100% I knew Lewis cared to help me, and that is something so rare and hard to find. He really did care. I am very grateful that I found Lewis and he handled my case. He did exactly what we he said he would and my case was over and dropped before it even started. I know his services, skills and quality was the key in why my situation was finished before it was ever started. I have nothing but the best recommendations for Lewis and strongly promote himself and his firm without any hesitations. I am grateful and will always be in debt to Lewis for his services, helping me and my life. Lewis is going to be very successful in life and his career. He is a superstar, and his future is very bright. If you need a lawyer in criminal law, you should very much consider him. thank you for listening to to my thoughts, and support for Lewis Fusco. Lewis did a fantastic job representing me and I would highly recommend him. He acted very professional yet aggressive in reducing and mitigating my case. He also kept me up to date with all developments in a timely manner. I am very satisfied with the final outcome and couldn’t have asked for a better lawyer.